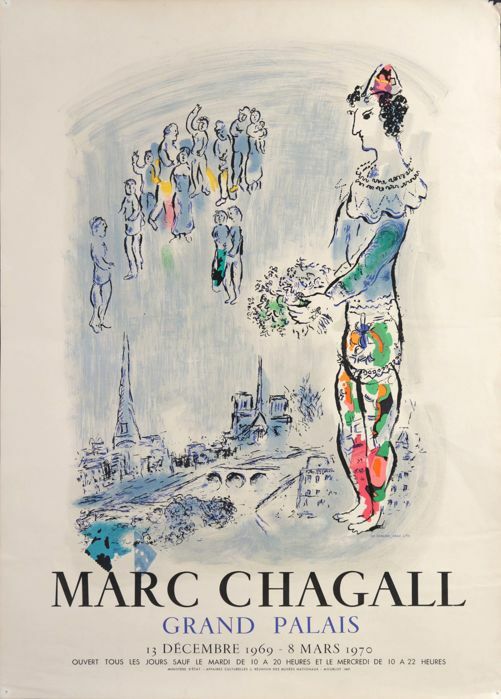 Marc Chagall's life was full of adventures, travels and love stories...and his passion for colorful, imaginative art. Here are ten facts about the beloved 20th-century artist. Marc Chagall is among the most important artists of the 20th century, celebrated for his fairy tale paintings infused with romantic surrealism. His whimsical, colorful style is unique and his masterpieces adorn many major museums and are auctioned off at staggering prices. Chagall's artistic imagery was born in Russia, his country of origin. Incorporating elements of Primitivism and inspired by Russian fairy tales, his style was soon influenced by the Parisian art scene, Fauvism and Robert and Sonia Delaunay's color research. Expressionist colors and themes associated with Surrealism, such as dreams, imagination and the return to the past, defined his visual language in what could be called dreamlike fauvism. 1. Marc Chagall was born Moishe Segal into a Lithuanian Jewish Hassidic family in Liozna, near the city of Vitebsk (Belarus, then part of the Russian Empire) in 1887. 2. 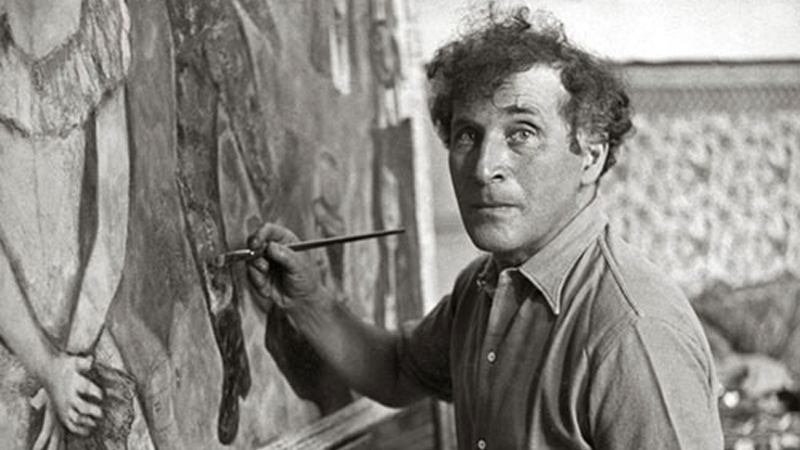 Chagall often claimed to have been "born dead". On the day of his birth, on July 7, 1887, the village where his family lived was attacked by the Cossacks and the synagogue was burned. He often returns to images of his childhood in his art, which he portrays as happy, despite the poverty of the Russian Jewish families at the time of the tsars. 3. He discovered art by chance: Jewish tradition forbade the reproduction of images, especially religious themes. At home he only had photographs of his family, but one day a school friend showed him a drawing and Chagall was immediately attracted to it, and within a short time decided to become an artist. 4. When he was studying art in St. Petersburg, the artist was arrested: Jews could only stay in the city with special permits and for this he was imprisoned for a week. Chagall said that those days were a happy time, which he spent painting in peace. 5. Chagall lived with his great love Bella Rosenfeld, a young daughter of wealthy Jewish goldsmiths. The pair married in 1915 and they had a daughter Ida the following year. Bella was a fundamental part of his life and the protagonist of many of his paintings, until 1944 when she died of a viral infection. Chagall then entered a deep state of depression and did not paint for nine months, but his daughter coaxed him back to his artwork. 6. 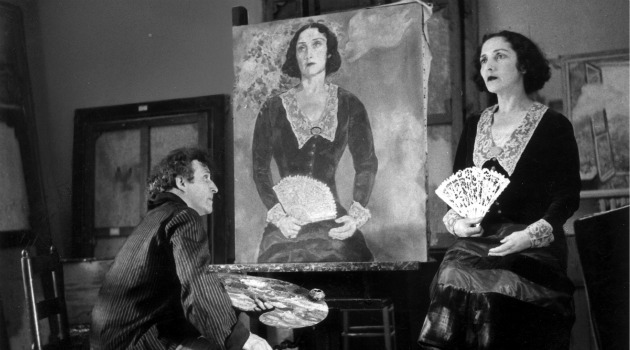 After Bella’s death, Chagall had two serious relationships. The first was Virginia Haggard McNeil, 28 years his junior. The couple had a son, David, but in 1951 the relationship ended when Virginia met a photographer in New York. 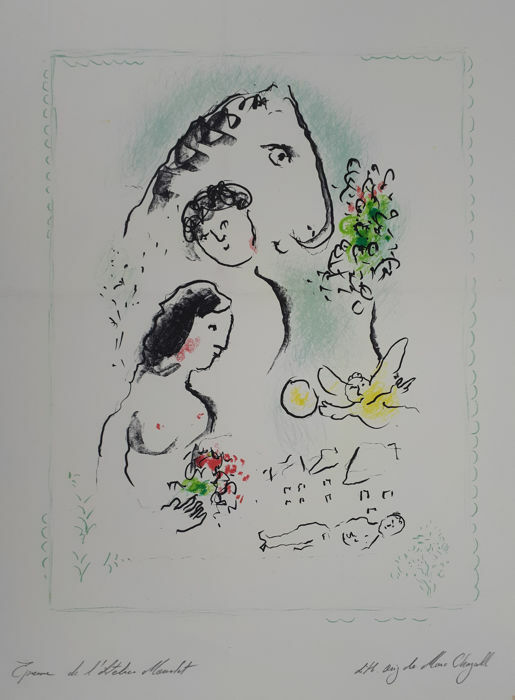 In 1952, Chagall married Valentina Brodsky, 18 years his junior. 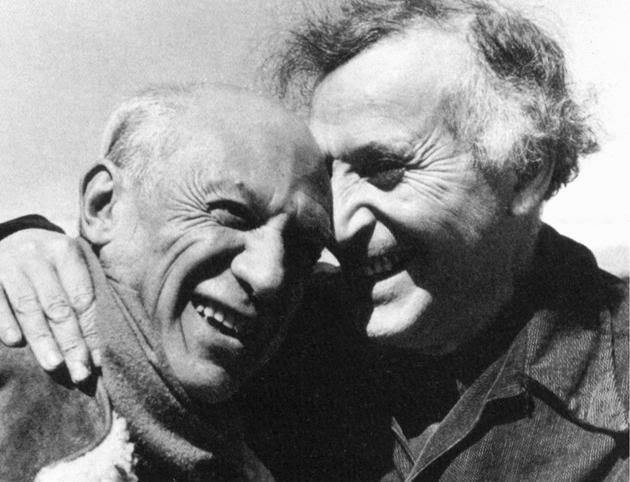 The couple remained married until Chagall’s death in 1985. 8. 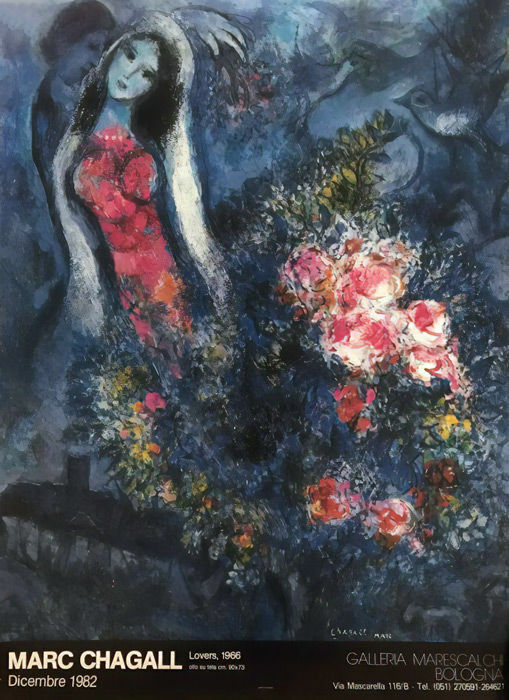 Chagall painted his pièce de résistance at age 77. 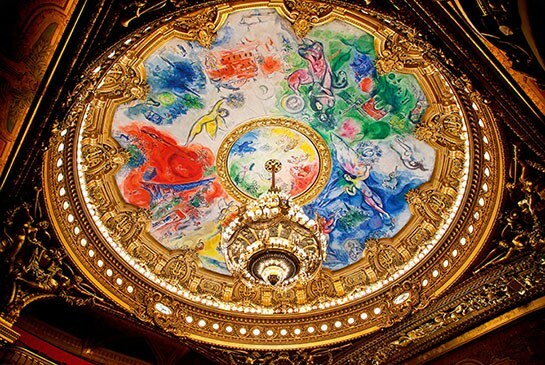 The artist was commissioned to paint the ceiling of the Palais Garnier (Paris Opera) in 1963, a feat that took him a year. It was a spectacular success, a 2,200-square-foot ceiling adorned with a colorful swirl of the world's legendary musicians, dancers and singers. 9. Chagall was fascinated by the Bible, calling it "the greatest source of poetry of all time." At the end of the 1950s, he worked on 17 major artworks, which were exhibited at the Louvre in 1967 and were part of a series called "Message Biblique" (Biblical Message). They formed the first part of the collection of the Musée National Marc Chagall in Nice, for which he also created the windows and an external mosaic. The museum was inaugurated in 1973. 10. The artist was multi-talented, working in a wide range of artistic mediums. 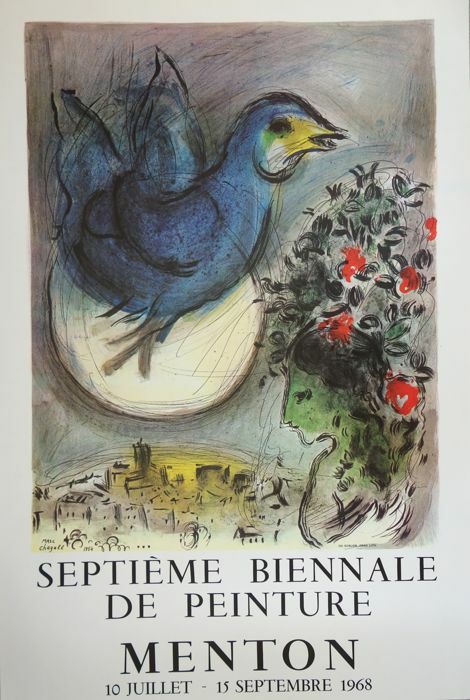 In addition to being a prolific painter, he designed stained glass windows, tapestries, ceramics, theater sets and costumes until his death in Saint Paul de Vence in 1985, where he moved in 1966. He was buried in the Saint Paul Town Cemetery. All the items up for auction in the article are for sale at Catawiki. Find out how to bid here.